You like to eat, right? Of course you do. Everyone likes to eat. What if we told you that you could be more missional in the way you live and enjoy better meals in the process? 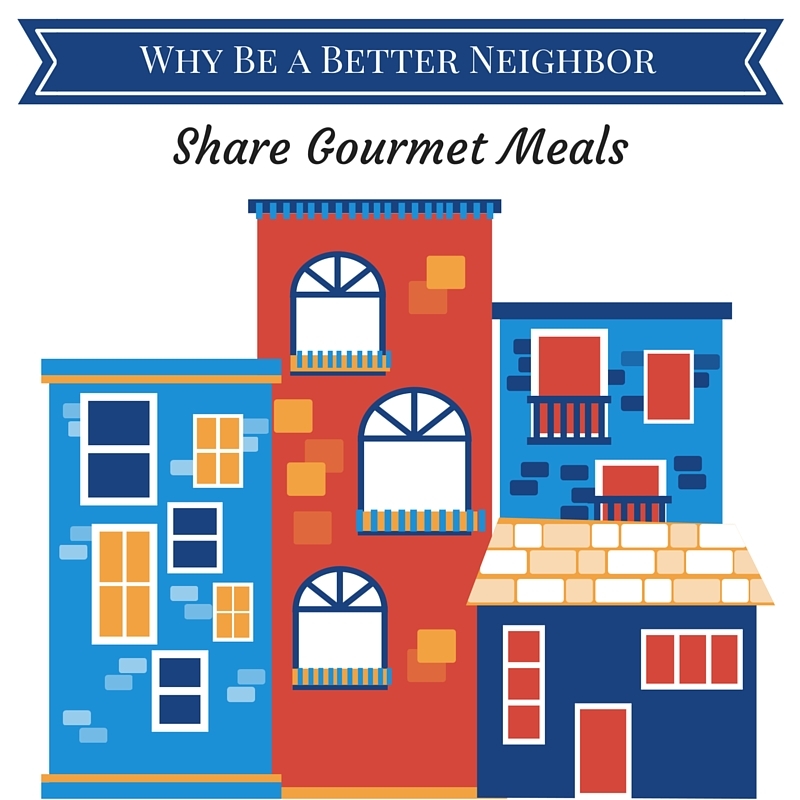 What if you could have a feast with your neighbors without breaking the bank? This past Memorial day we did just that. It all started with just a few mimosas in the front yard (remember the Top 2 Missional Tools That Start A Conversation Every Time?). Then a few of us decided we should barbecue together and, before we knew it, we had a feast planned. Hamburgers, hot dogs, ribs, veggies, a few salads, plenty to drink and a bunch of wet kids running around. We ended up with more than 20 people in our backyard and plenty of leftover food. This kind of event has become a regular occurrence in our neighborhood. And we have built a strong sense of community because of it. This isn't something that is only possible in certain kinds of neighborhoods. But it does take a sense of openness to get things started. The first time we shared a meal like this with our neighbors, it happened somewhat out of necessity. And the result was amazing. Costco sells some gigantic pieces of meat. And, sometimes we just can't help ourselves, so we buy one. Well, it was a Summer day, and we had a giant Costco tri-tip....and nothing else. And it just so happened that one of our neighbors had an overabundance of vegetables but no main course on hand. So, we decided to combine our resources and share a meal together. We threw our giant tri-tip on the barbecue, and our neighbors prepped their veggies while all the kids played in our backyard. The adults opened a couple bottles of wine, and we were excited about our combined meal as we relaxed on the back deck. But then things got even better. Our next-door neighbor came out into his backyard (we have a low fence between us), and he turned on his barbecue. We told him they were welcome to join us for dinner, since we still had way more food than we could eat. Initially, he declined, since they had already prepped their food to cook it. But then he stopped and looked at us. As it turned out, he was just about to cook up some fresh crab, and he had enough to share too! You can probably imagine the laughter and cheering that erupted when we realized what we had. What started out as a one item meal (the giant tri-tip), just turned into an amazing surf and turf dinner with a pile of veggies! When all the food was ready, they brought the crab and another bottle of wine to our yard. And we feasted. It was one of the best meals we've had in a long time. A potluck that came together without any planning. Just a few neighbors who had built close enough relationships that they wouldn't mind sharing a meal together. Our neighbors sound pretty awesome, don't they? All it takes is one person to get the ball rolling. We couldn't tell you for sure who reached out to who first to create an openness that could allow these kinds of things to happen. Relationships had been building long before we ever even moved onto the block, so we can't take the credit for how great our neighborhood is. But, if you don't already have this where you live, then maybe it's time for you to take the first step. Get to know your neighbors. And, start being the kind of neighbor you want to have living next door. The kind of neighbor you could share a gourmet feast with. Don't wait for your neighbors to start engaging with you first. Pick one of our 8 Excuses To Engage Your Neighbors and do it. If everyone waits for everyone else to start, you'll never have a neighborhood like ours.